Iain Sabiston, And his radio show Vibe on Saturo Sounds.com.Growing up in the relative wilds of North East Scotland did not seem to hamper Iain’s ability to access his heroes and fuel his passion for the sounds of the underground.Now a resident DJ for online radio station Saturo Sounds, his love of all things melodic has not only found a home but also an audience.His ever-growing musical knowledge and DJ skills have also manifested into a production collaboration with Drew Miller.Iain has amassed an ever increasing global following, tuning into Saturo Sounds for his weekly residency due to his craftsmanship of seamlessly mixed genreless sets.This has not gone unnoticed and has led to sets for Inverness based Movement Music broadcasting a live stream feed where people got a glimpse of the “man behind the mask”,which in turn opened the door to play the opening set to the packed Ironworks venue in inverness for the mighty Vitalic, which was hosted by TECHnique. 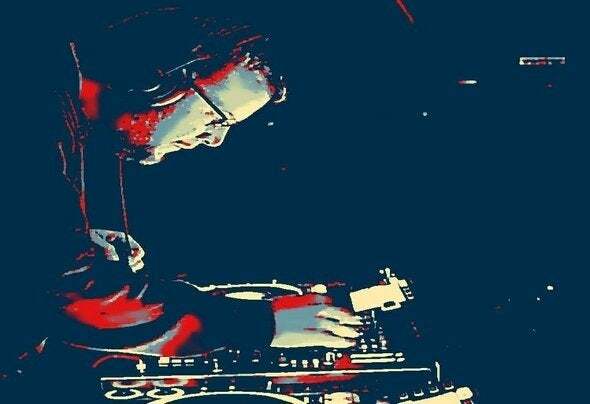 and a opener for funkdvoidKeeping the momentum in full flow the next milestone was achieved with an album compilation mix for Gibbon Records alongside Bedrock Records legend Moonface! !The sky is the limit for Iain who is stepping it up and carving a name for himself in the underground scene.